If you set the price too high, your house won’t be picked for viewing, even though it may be much nicer than other homes on the street. You may have told me to “Bring me any offer. Frankly, I’d take less.” But compared to other houses for sale, (especially in a down market)your home simply appears to most buyers to be too expensive to be seriously-considered by them. The days of “running it up the flag pole to see what might happen” are no longer a winning strategy. Mainers are often stubborn sellers who convince themselves that “they don’t have to sell and can wait out the market until better times come back.” But, if you are selling to move to warmer climates for medical reasons… or, wanting to be nearer your grandchildren… how can you put a price tag on wasted time holding out for a miracle to happen. Lower your price and get on with your life, do what’s best for your health and enjoy your grandchildren before they are in college – or worse, you have passed on! Is it really worth the price of delaying an opportunity to cash in your chips move on? Your best guide is a record of what the buying public has been willing to pay in the past few months for property in your neighborhood. I can furnish data on sales figures for those comparable sales and analyze them to help you come up with a suggested listing price. The decision about how much to ask, though, is always yours. However, if I think it is overpriced, I probably will encourage you to find another broker. Competitive Market Analysis (CMA) The list of comparable sales that I can provide you (along with data about other houses in your neighborhood that are presently on the market) is used to prepare a “Comparative Market Analysis” (CMA). To help in estimating a possible sales price for your house, the analysis will also include data on nearby houses that failed to sell in the past few months, along with their list prices. “Adjustments” (both plus and minus to the comparable properties) are done to make the analysis as realistically-weighted as possible. A CMA differs from a formal appraisal in several ways. One major difference is that an appraisal will be based only on past sales. Also, an appraisal is done for a fee while the CMA is provided by me for free and may include properties currently listed for sale and those currently pending sale. For the average home sale, a CMA probably gives enough information to help you set an enticing price. Formal Written Appraisal: A formal written appraisal (which may cost a few hundred dollars) can be useful if you have a truly unique property, if there hasn’t been much activity in your area recently, if co-owners disagree about price or if there are any other circumstances that makes it difficult to put a value on your home. 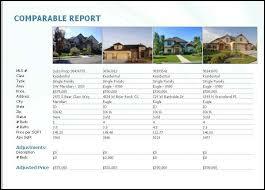 I highly recommend that sellers get a formal written appraisal. It’s always effective to tell a prospective buyer that that you have a recent appraisal and feel quite comfortable with the price. TIP: If you do order a market value appraisal, make it clear you don’t need an elaborate, or full narrative report (the kind that’s complete with photos of the house and neighborhood.) Floor plans and a site map are sufficient in most cases. A CMA often includes a Days on the Market (DOM) value for each comparable house sold. As mentioned early, when real estate is booming and prices are rising, houses may sell in a few days. Conversely, when the market slows down, average DOM can run into many months – sometimes years. I can tell you whether we are currently in a buyer’s market or a seller’s market. 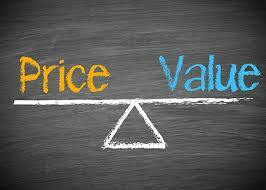 In a seller’s market, you can price a bit beyond what you really expect, just to see what the reaction will be. In a buyer’s market, if you really need to sell promptly, offer your best attractive bargain price. If You decide to Price your property “a little on the High side”, set a Schedule for Lowering the Price if you don’t get any lookers. Some sellers list at the rock-bottom price they’d really take, because they hate bargaining or they are happy going with a “take it or leave it” decision. Others add on thousands to the estimated market value “just to see what happens.” If you want to try that (which I don’t recommend), and if you have the luxury of enough time to feel out the market, let’s work out an advance schedule for lowering the price if need be. If there haven’t been many prospects viewing your home after three weeks, you may need to lower your list price. If that doesn’t bring any prospective buyers, you may need to lower your list priceagain. Plan on doing this regularly until you find a level that attracts buyers. Make a written schedule in advance, before emotion takes over and you’re tempted to dig your heels in. Sometimes cash incentives are as effective as lowering the price, especially in the lower price range where buyers may be “cash poor.” You may offer to pay some or all of a buyer’s closing costs and discount points required by the buyer’s lending institution. One seller client of mine sold his house quickly by offering to pay for a winter’s fuel cost. That got buyer attention. Once I have given you an estimate of market value, you can get a rough idea of how much cash you might walk away with when the sale is completed. This can be particularly useful when you start looking for another home to buy. By the way, if you have been happy with my services to get your property sold, I hope you will have a knee jerk reaction to have me be your “buyer’s broker.” Of course, The greatest compliment I can receive from you …is a referral from you. Buyer’s/Seller’s Costs: Additionally, I can tell you whether local customs or rules dictate whether the buyer or seller pays for the items listed below. Subtract the following costs, as applicable. Closing Costs: As far as closing costs are concerned, you and your eventual buyer may agree on any arrangement that suits you, no matter what local practice dictates. I will assist you in estimating what your final closing costs will be.